To celebrate the nomination of Princess Jellyfish for the prestigious Eisner Award we're holding a sale on all digital editions by Princess Jellyfish's brilliant creator, Akiko Higashimura! 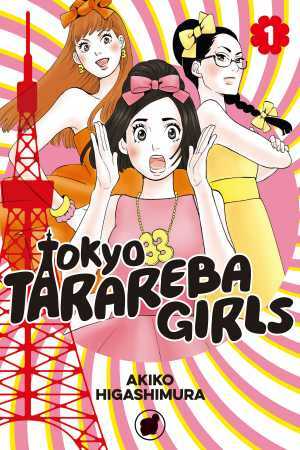 Starting today all volumes of Princess Jellyfish and her hilarious followup Tokyo Tarareba Girls are on sale up to 50% off at all our digital retail partners: BookWalker, comiXology, Crunchyroll, Google Play, iBooks, Kindle, Kobo, and nook. Sale runs through June 12. That's not all! Voracious readers of Higashimura-sensei's rollicking tale of fangirls taking on Tokyo can now get synchronized with her readers in Japan—at a nice price. 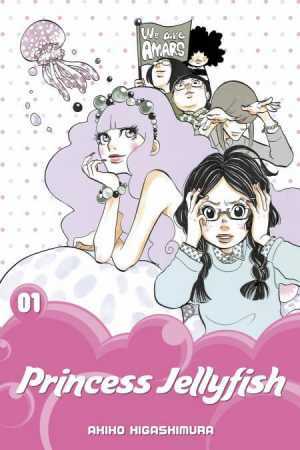 Starting today we're also releasing and discounting 50% off every chapter of Princess Jellyfish published so far in preparation for the simulpub publication of Chapter 81 going on sale June 24—the same day the chapter appears in Japan. New simulpub chapters will appear monthly thereafter—find 'em on comiXology and Kindle. Hey, are you a comics industry pro? Please go vote for Princess Jellyfish on the Eisner Award voting site. It's been nominated for Best U.S. Edition of International Material—Asia. The voting deadline is June 16. We and Higashimura-sensei thank you! Read our exclusive interview with Akiko Higashimura, which ran on this site last year. 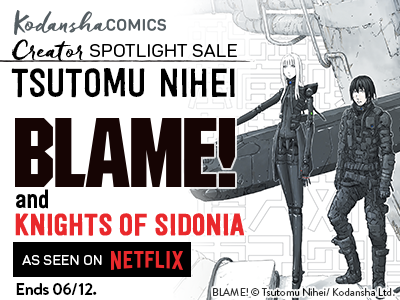 Also, Creator Spotlight Sale for Tsutomu Nihei is happening this week (6/6-6/12)!